Best Personal loan area wonderful financial assistance if you know how to use them. A personal loan is the best option for individuals to fulfill financial emergency they may experience in buying a house, vehicle, small home renovations, miscellaneous bills, moving expenses, wedding expenses, vacations, children’s higher education etc. Personal loan is a short to medium term unsecured loan lentby a bank or a non-banking financial company (NBFC) to customers to meet their unexpected personal needs or for debt consolidation. The loan seekers are not asked to pledge any asset as collateral. These loans are issued on the basis of key criteria such as income level, credit history, repayment capacity etc. Each individual’s credit history and financial status will affect the interest rates of a personal loan offered. Managing different amounts of debt with multiple creditors is a difficult task. Each debt will have its own deadline, interest rate and mode of payment. As a result of this, you might miss payments and end up paying more interest over time due to higher interest rates. Personal loan will simplify bill payment by combining multiple debts – usually resulting due to credit cards - into a single, larger piece of debt. Moreover, interest rates applicable on credit cards (2.5% to 3% per month) are much higher than that on a personal loan (12%-15% per annum). Hence, it will be a wiser choice to pay off all your credit card debts by getting a personal loan. You can also choose to make multiple monthly payments to various creditors by using a personal loan. Debt consolidation reduces costs by lowering the interest rate on debt and reducing monthly payment. Financial crisis can hit anyone no matter what his/her financial status is. In such a case, personal loan can be a great help. Hence, it will be a prudent decision to get a personal loan for these unplanned expenses rather than dipping into your savings. By taking a personal loan to cover such expenses, you can build your credit score and protect your financial egg. Due to unemployment, underemployment and unreliable employment, you can end up paying your rent and other bills late. However, everyone wants to get rid of the dues on time. A personal loan can regulate your cash flow and can use it for almost everything, including paying the bills, school fees, rent etc. If your home needs remolding, repairs or improvements, and you have not budgeted for the same, or a project costs more than you anticipated,a personal loan can cover such unbudgeted expenses. Personal loan is a helpful financial tool if you feel the pinch. The weddings are becoming increasingly expensive affair, and the pressure for parents to hold a glamorous wedding is building up continuously. But, sometimes wedding cost exceeds the budget, which is why people should consider taking a wedding loan to make your/ your child’s marriage unforgettable. 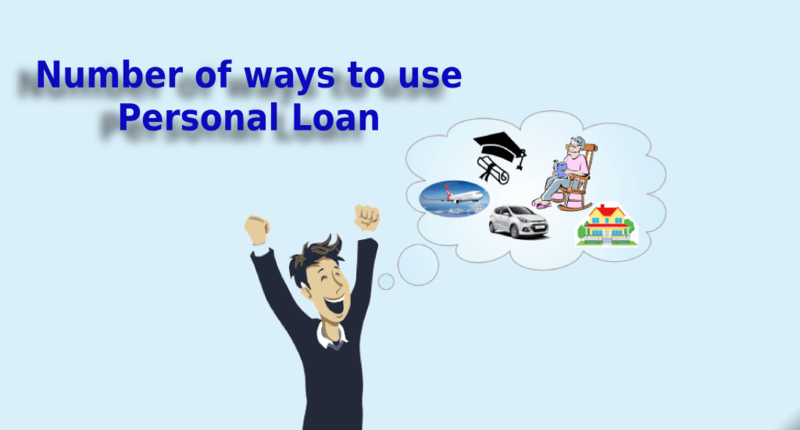 Personal loan is a helpful financial tool for major purchases like computers, latest electronic gadgets, home appliances and many more for which you did not allocate the budget in advance. If you are smitten by wanderlust, but can’t afford your exotic vacation, personal loan can fit the bill. An apersonal loan is a great way to meet your short term financial requirements, in this case your holiday. With lesser interest rates than credit cards, personal loan is a muchwiser way to fund your holiday. Life is unpredictable - medical emergencies can happento anyone. A personal loan for medical expenses will help you deal with unexpected blow. This kind of loan covers all expenses such as doctor’s fees, medical bills, hospital stay etc. If you need a car and can’t get other financings like car loan, a personal loan can help supply the funds you need for your new car. Usually, lax restrictions will allow you to use personal loans the way you want to use it, including getting a new vehicle or refinancing your current loan. If you don’t have a current account or business credit card, personal loan with low-interest rate can provide you the capital you need to set up a business. Once your business thrives, you’ll be able to pay off the loan instantly. Personal loans have a variety of uses. No matter how you choose to use it, it is up to you. Make sure to explore all the details and repayment terms & conditions before applying for a personal loan. For more information about personal loan, you can go over to personal loan page on Afinoz.com.